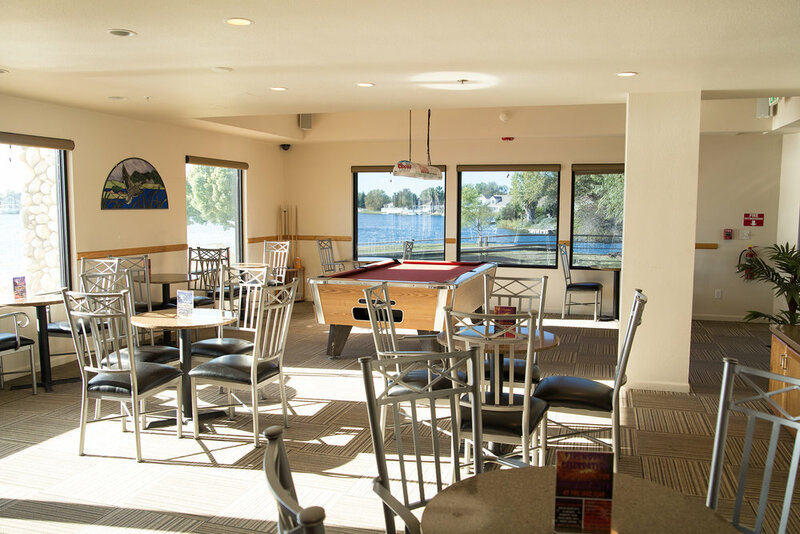 The newly remodeled Lake Club building includes a great room, lounge with full bar, full commercial kitchen, bonus meeting room, recreation room, and patio right on the water. The Lake Club is an amenity to all residents of the community. 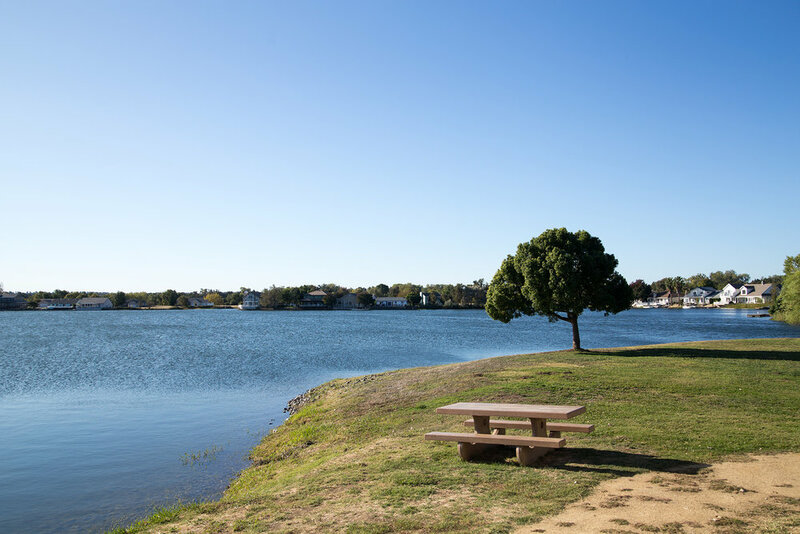 Every resident of the community can and should take advantage of everything The Lake Club offers. 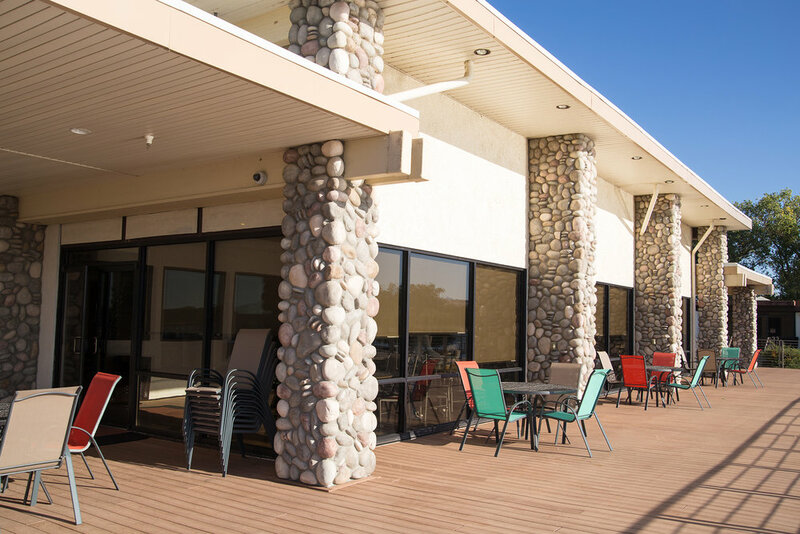 As a community hub for activities, The Lake Club is a great place to have your next gathering or meet other residents at one of the many fundraisers, live music nights, or group socials. The Lake Club includes a lounge that is open five nights a week. The Lounge is a nonprofit bar with a full but limited liquor license. The Lounge may only serve beer, wine, and spirits to residents of the community and guests accompanying residents. The Lounge offers a small food menu nightly with service out of The Lounge and a larger food menu is offered out of the kitchen on Saturday and Sunday. Please refer to the menu below/ attached. The Lounge space is reserved for residents 21 and over, but the back-service bar off the deck may be used by residents of any age. Nonalcoholic drinks and food may be ordered and picked up from this service window. When the Lounge is open, the entire Lake Club is open. Families may gather in the great room, entertainment room, or on the patio. Adults over 21 may take alcoholic beverages in any of these spaces. Residents are encouraged to take advantage of The Lake Club when it is open. The Lounge also offers entertainment for the community monthly. Live music, holiday celebrations, and karaoke are all free events offered at The Lake Club for all residents to enjoy. The Lake Club Landing is now open. The Landing refers to the beautiful commercial kitchen within The Lake Club. Starting January 11th, The Landing will be offering delicious food Thursday through Monday every week. The Landing opens when The Lounge opens and closes at 9 PM. 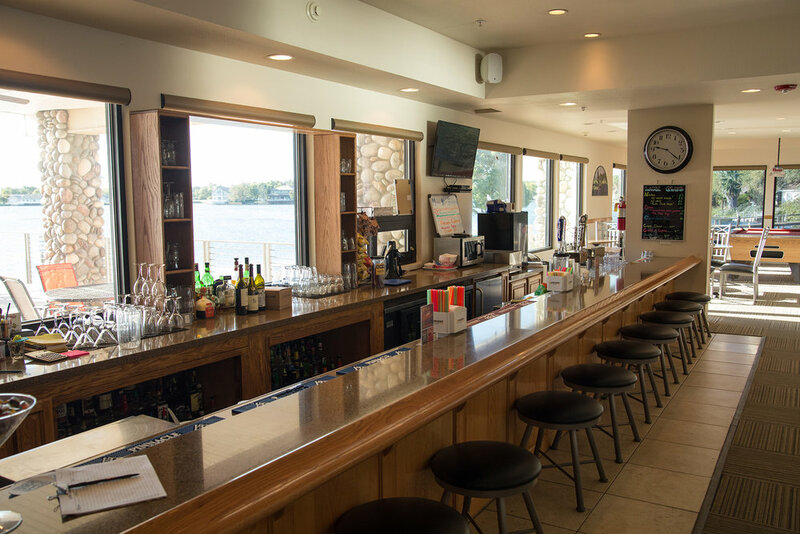 The Landing serves up everything from bar snacks to salads, burgers to entrees. Refer to the menu in blue to the right in order to view all the items offered. Orders are taken in The Lounge but food can be enjoyed in any of The Lake Club spaces. Families with young children can dine in the main event room, game room, or patio. Those over 21 years of age, may enjoy dining in The Lounge. Every Friday night The Lake Club offers Five Dollar Friday. Enjoy a different food special made fresh in our kitchen every Friday night. The special is always posted on the calendar in your newsletter or check out our blog for updates. Groups and clubs have access to The Lake Club to use the space for activities and fundraisers. Residents of the community may rent The Lake Club for special events such as weddings, retirement, birthday, or anniversary parties. Tables, and chairs are included in the rental of the space, (linens can be provided for an extra fee). Call the office, 530-347-7900, to see if your date is available for reservation.